What if you could pour your pills down the sink and control your Crohn’s with steamed carrots? I don’t watch much television, but a show that has captured my attention is “Food Hospital,” a program out of the U.K. that investigated how people with severe medical conditions, such as eczema, epilepsy and depression, can be treated effectively with nothing more than dietary changes. The show had its final run in 2012, and its fair share of critics. But there is truth to the idea that we are what we eat – and that too many of us are eating the wrong things. If you have cancer, a fistful of blueberries is not going to cure you. But too many of us have come to rely on pills to treat headaches, upset stomachs and acne, while ignoring the dietary triggers that cause them. We also seemed to have forgotten that many diseases, including many cancers, can be prevented by maintaining a regular diet of whole, healthy foods rich in vitamins, nutrients, minerals and fibers. Unfortunately, too few doctors make the connection between what their patients eat and how they feel. Physicians know that eating well and exercising is “good for you,” but they don’t realize how influential they can, and should, be in helping guide patients to make better food choices. When a friend experienced digestive problems, doctors took four years and countless tests to try to figure out what was wrong. Finally, by listening to her body and paying attention to the one thing no one else was focused on – her diet – she uncovered the problem herself. She gave up processed sugar, and the issue that had vexed her for years was cured in a day. This story rarely surprises practitioners of complementary medicine. Eastern medicine has long understood the power of medicinal foods. It’s time for Western medicine to catch up. These realizations should lead to doctors serving as food guides for patients who often don’t realize that their refrigerators function as medicine cabinets. 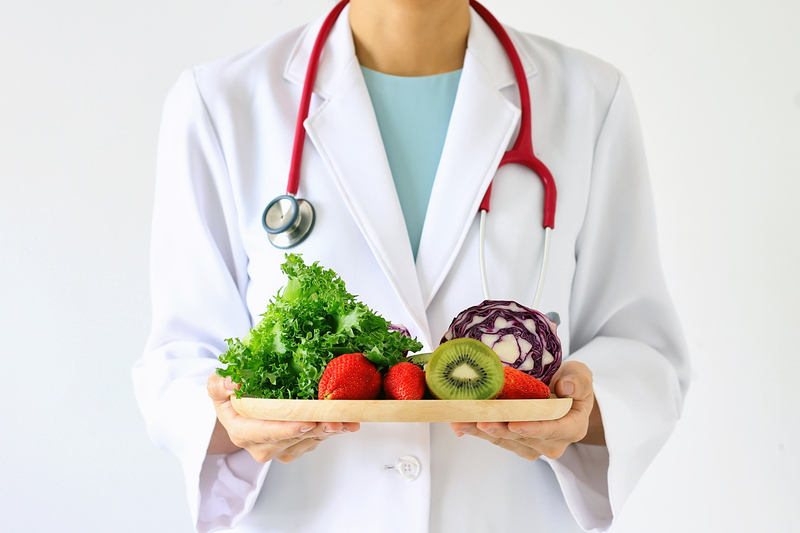 We need physicians to prescribe nutritious food they way they prescribe medications. Just saying “eat right,” isn’t enough. A doctor wouldn’t say, “Take an NSAID.” They’d prescribe a specific pill. Similarly, it’s time for physicians to prescribe specific foods – and warn people away from less healthy options. I’d like to hear a doctor say, “Eat your colors,” or “Read labels and look for whole grains.” This would go a long way to helping people manage their weight and reduce their risk for diabetes and other diseases. Health care doesn’t start at the doctor’s office. It starts at the supermarket. Providers will need to understand that distinction and help guide their patients to make the choices that will make the difference.